There’s nothing like a good Twitter feud, right? Snarky and catty and devoid of real repercussions (I mean, as long as it’s not POTUS). Here are the details on their huge row, as the Brits say. 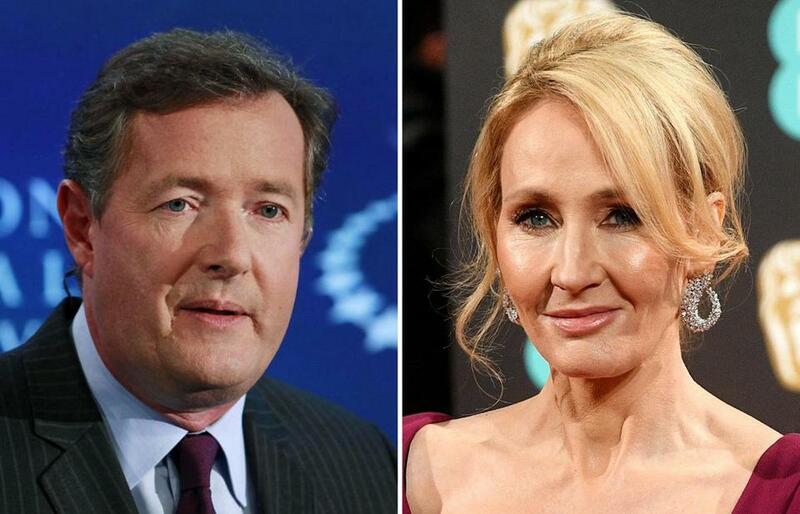 Rowling then picked on Morgan by tweeting the video out to her almost 10 million followers, saying, again in terms unsuitable for a family newspaper, that it felt “satisfying” to watch Morgan being publicly told off. The Twitter war goes on a bit. You have to give it to “Harry Potter” fans; they are a dedicated bunch. In addition to the usual mockery between Team Rowling and Team Morgan, a bookstore in London has begun to tweet the entire first volume of “Harry Potter” at Morgan. One line at a time. They estimate it will take 32,567 tweets. They’re up to 545. Do you want to try and guess what the third thing was Piers? Wonder what ridiculousness could happen next? Oh wait! UPDATE: I will be on @seanhannity @FoxNews tonight talking Trump & Russia. Tune in at 10pm ET. Blagodaryu.